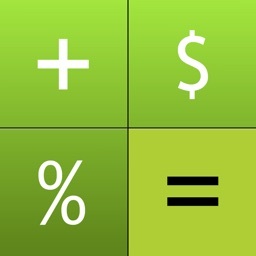 10bii Financial Calculator by K2 Cashflow, Inc.
Look no further, you have found the best Financial Calculator app available. Easy Mode What will it REALLY cost? Easy Mode Saving with growing deposits? Easy Mode What is my balloon? Easy Mode What are growing payments worth? 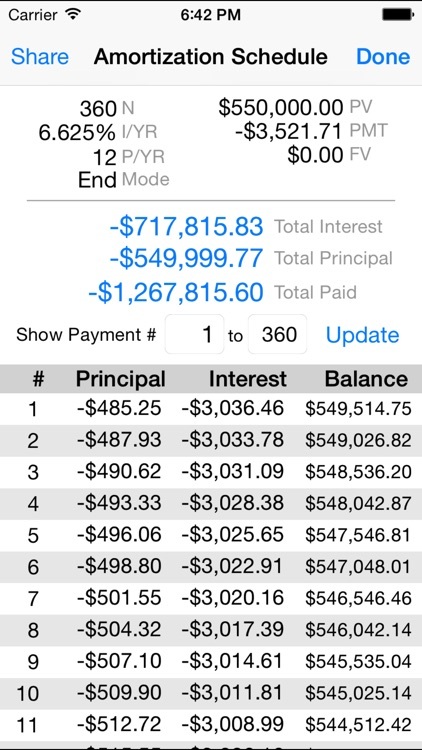 In-App Purchase: 10bii+ Features (Bonds, Breakeven, Depreciation, Trig, Probabilities) available! - Easy Mode allows everyone to get the financial answers you need! 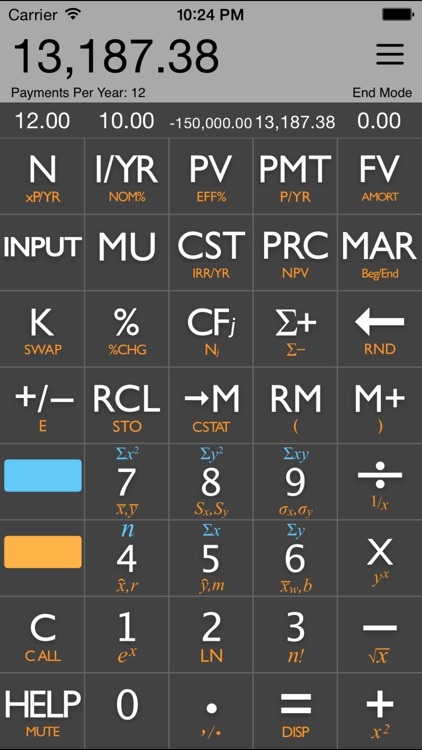 Finally a Financial Calculator for everyone! Whether you are a seasoned investor or you just have questions about paying off your credit card, refinancing your home, or planning your 401(k) contributions, the 10bii Financial Calculator has the answers to YOUR financial questions! 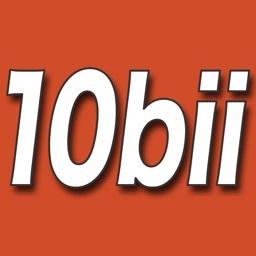 The 10bii Financial Calculator is a versatile and powerful financial calculator which features more than 105 different functions for financial analysis, business, statistics, and general mathematics. 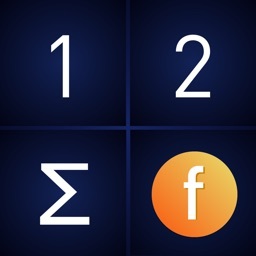 Modeled after the extremely popular HP 10bII Financial Calculator, the 10bii Financial Calculator app combines precise mathematics, intuitive display, and ease-of-use in one compact package. 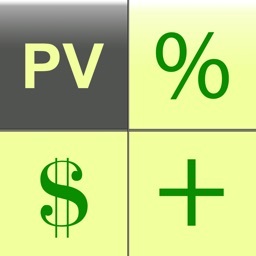 It allows you to easily calculate loan payments, interest rates, amortization, time value of money, investment value, and more using a combination of powerful and intuitive equation-writing functionality and helpful worksheets. The 10bii Financial Calculator's keypad has been specially designed to be easy to use and easy to see. By expanding on HP's traditional presentation, the 10bii Financial Calculator allows quick and intuitive building and visualization of TVM (Time Value of Money) calculations and Uneven Cash Flows, lets you see the stored values of all of your memory registers in one easy view, graphs your statistical series, and lets you type in whole equations for easy review and one-touch evaluation. Get answers to common financial questions WITHOUT having to know how to use a financial calculator! 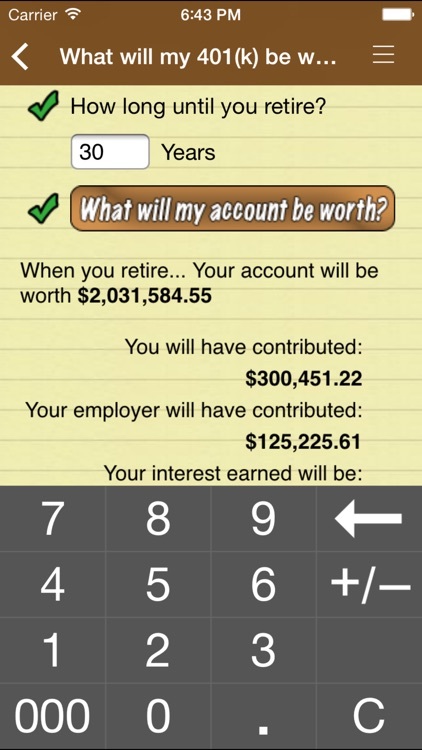 With the 10bii Financial Calculator's Easy Modes, answer a few simple questions worded in plain language (rather than Financial-ese) and find out just how much you'll save with that refi, how much you'll have at retirement, how long it'll take you to save up for that big purchase and more. 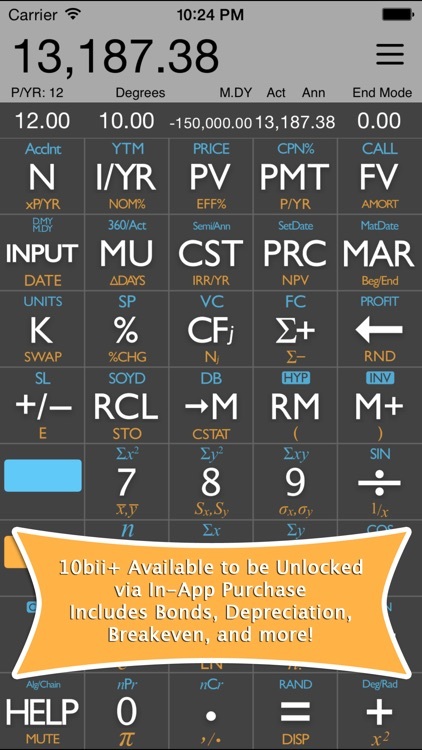 Now with 12 Easy Modes! 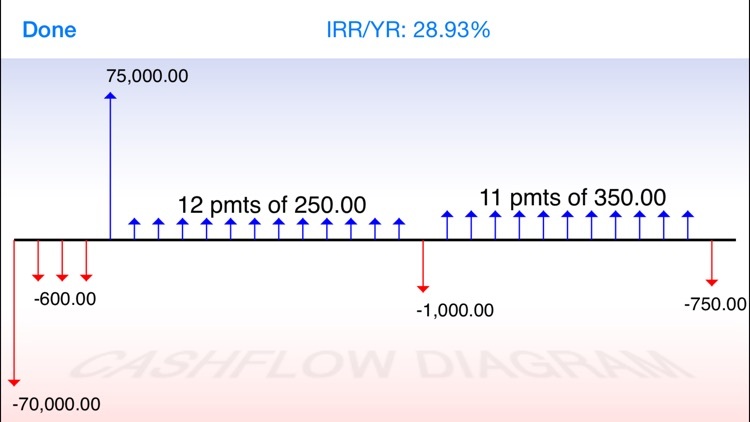 Easily enter and see diagrams for Cash Flows, including rapid calculation of Net Present Value and Internal Rate of Return. A dedicated interface makes adding, editing, deleting, and reordering uneven cash flows a breeze. Enter and analyze statistical data points, and see graphs based upon the values you enter. Includes standard calculations such as standard deviation, mean, and linear regression forecasting. Never has using a financial calculator been so easy or intuitive. 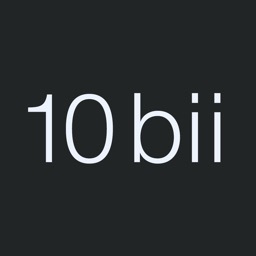 The 10bii Financial Calculator is powerful enough for the professional but accessible enough for everyone. It is an ideal tool for teaching the power of compounding interest, analyzing potential deals or business ventures, or just doing math problems, and sharing the results of your work with others.